United Natural Foods, Inc. $UNFI, together with its subsidiaries, distributes and retails natural, organic, and specialty foods and non-food products in the United States and Canada. 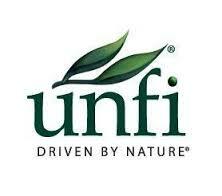 United Natural Foods is one of the stocks in my portfolio. Their annual meeting is on December 16, 2015. ProxyDemocracy.org had collected the votes of four funds when I checked. I voted with the Board’s recommendations 42% of the time. View Proxy Statement. From Yahoo! Finance: United Natural Foods, Inc.’s ISS Governance QuickScore as of Dec 1, 2015 is 3. The pillar scores are Audit: 10; Board: 4; Shareholder Rights: 2; Compensation: 5. Brought to us by Institutional Shareholder Services (ISS). Scores range from “1” (low governance risk) to “10” (higher governance risk). Each of the pillar scores for Audit, Board, Shareholder Rights and Compensation, are based on specific company disclosures. That gives us a quick idea of where to focus: Audit and Compensation. United Natural Foods’ Summary Compensation Table shows the highest paid named executive officer (NEO) was Steven L. Spinner at $4.0M. I’m using Yahoo! Finance to determine market cap ($2.0B) and Wikipedia’s rule of thumb regarding classification. United Natural Foods is a mid-cap company. According to Equilar (page 6), the median CEO compensation at mid-cap corporations was $4.9 million in 2013. United Natural Foods is at the very lowest end of mid-caps, so pay was probably above median for a company of its size. Additionally, shares underperformed the NASDAQ over the most recent one, two, five, and ten year time periods. Unvested equity awards partially or fully accelerate upon the CEO’s termination. Accelerated equity vesting allows executives to realize pay opportunities without necessarily having earned them through strong performance. The company has not disclosed specific, quantifiable performance target objectives for the CEO. Disclosure of performance metrics is essential for investors to assess the rigor of incentive programs. The company pays long-term incentives to executives without requiring the company to perform above the median of its peer group. The CEO’s total summary pay for the last reported period was more than three times the median pay for the company’s other named executive officers. Given these issues and consistent underperformance, I voted against the pay plan and the directors on the compensation committee: James P. Heffernan, Chair, Ann Torre Bates and Gail A. Graham. I have no reason to believe the auditor has rendered an inaccurate opinion or is engaged in poor accounting practices, so voted to confirm. I voted against the pay plan, stock plan and all directors on the compensation committee. I also voted in against Denise M. Clark, since she has been on the board for over two years and still owns not stock. I voted in favor of the Teamsters proposal to allow accelerated award of unearned equity only under certain conditions after a change of control of the Company on a pro rata basis. I agreed to withdraw my proxy access proposal after the board agreed to a provision whereby a shareholder, or a group of up to 20 shareholders, holding at least 3% of the outstanding common stock for at least three years may nominate one director, so long as the number of directors elected via proxy access shall not exceed 20% of the board. I considered it another victory, despite limitations. We will do better in 2016. I also checked a relatively new site, Proxy Insight. They report the Teacher Retirement System of Texas voted for everything, including the shareholder proposal. The Canada Pension Plan Investment Board voted for every item except the stock plan. Annually Elected Directors, thanks to my 2012 proposal and those who voted in favor of it. However, directors elected at or prior to the 2012 annual meeting continue to serve their original terms. Any proposal that a stockholder wishes to be considered for inclusion in our proxy statement for the 2016 Annual Meeting of Stockholders must be submitted to our corporate secretary, Joseph J. Traficanti, at 313 Iron Horse Way, Providence, Rhode Island 02908, no later than the close of business on July 9, 2016. We strongly encourage stockholders interested in submitting a proposal to contact legal counsel with regard to the detailed requirements of applicable securities laws. Submitting a stockholder proposal does not guarantee that we will include it in our proxy statement.